featuring superior durability and functionality for all of your home and office water dispensing needs. and room temperature water at the touch of a button! 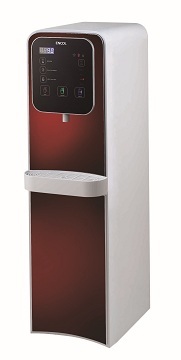 The new Encol by Chanson Bottleless Water Dispenser is lightweight and is available in both countertop and free standing models. Imagine no longer having to wait or pay for bottle delivery, and no longer having to lug or store heavy water bottles. The Encol by Chanson Bottleless Water Dispenser is able to transform your ordinary tap water into a fresh, filtered, on demand, eco-friendly water supply. 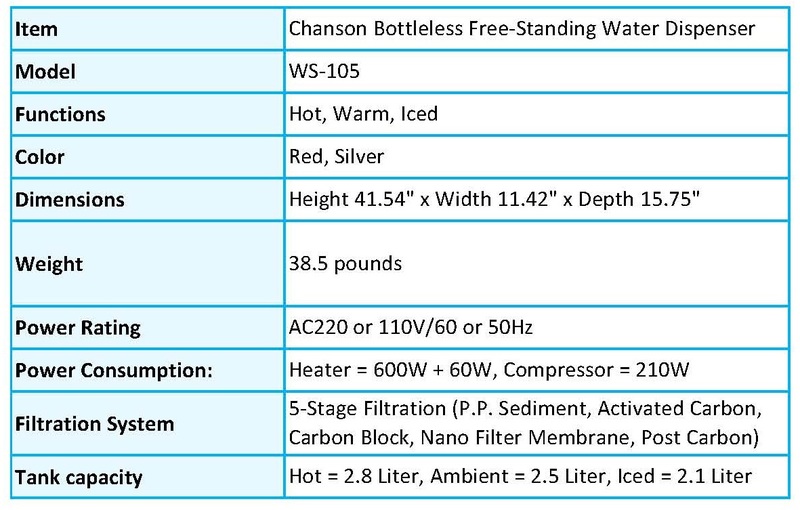 You'll save time, money and energy while helping the environment by investing in an Encol by Chanson Bottleless Water Dispenser over bottle delivery. Most water coolers and water dispensers use a standard reverse osmosis (R/O) system, which removes even the valuable alkaline minerals from your water. Even worse, some water dispensers provide no filtration whatsoever--you might as well just stick your glass under the tap! But the Encol by Chanson Bottleless Water Dispenser provides five (5) amazing stages of filtration without removing the alkaline minerals that your body so desperately craves, with no toxic byproducts! Enjoy the convenience of the Encol by Chanson Bottleless Water Dispenser's easy to clean touch panel, four preserved water temperatures, six power saving timer presets and other exciting functions. -It's not eco-friendly -- 47 million gallons of oil are used to make the plastic bottles (not to mention the fuel used to transport them) and 38 billion plastic bottles end up in the landfills every year!